The S model of the Porsche Cayenne offers better fuel mileage at 26.9 mpg however with a larger 4.8 liter V8 engine, which is really good and the Turbo Cayenne comes in at 27.6 mpg. For the distinguished car enthusiast that is environmentally conscious and want luxury there won’t be much to discourage them with the Porsche Cayenne. A hybrid model is also available, the Porsche Cayenne S Hybrid is the ultimate sports hybrid SUV which is capable of switching between a 3.0 liter supercharged V6 and a electric motor and only sipping 8.3 liters of fuel every 100 km which is equal to 34.4 mpg…very impressive. 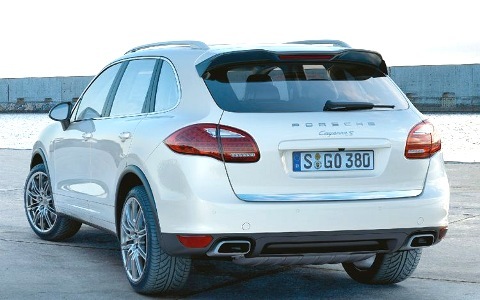 The Porsche Cayenne is a good looking SUV that masked a very sporty and well handling platform underneath. The difference from previous year model is a 1.6″ longer wheelbase and a trim of 400 lbs of weight. The interior looks more like a airplane cockpit with a 4.8 inch hi-res TFT color display that controls the vehicle options, audio and cell phone, navigation and cruise control. 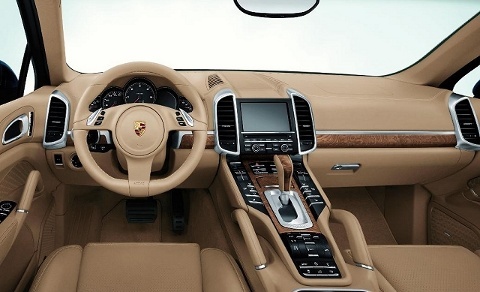 The Cayenne S Hybrid model includes a hybrid drive control system in the computer otherwise most interior look and feel and features are the same. If you are looking for luxury, sporty performance while maintaining fuel mileage, definitely check out the 2011 Porsche Cayenne SUV line up.